Christopher Columbus and his crew arrived on the shores of Guanahani, an island in the Bahamas, on 12 October 1492. 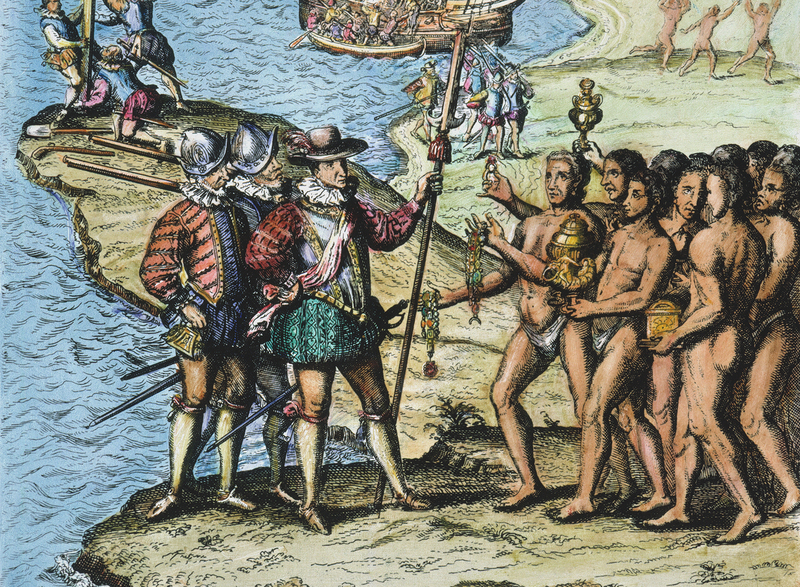 While Columbus was convinced that he had made landfall in Asia, he had unwittingly ‘discovered’ the New World. Carrying the royal standard, he took possession of the island in the name of the Catholic monarchs, Ferdinand of Aragon and Isabella of Castile, renaming it San Salvador.